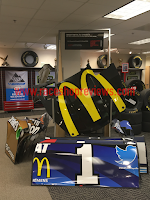 When I first decided to visit the race shops of Nascar, I was surprised that there wasn't a comprehensive source for all the information I needed. Well, I've made my own right here. I've tried to give you a preview of each major shop, let you know the smaller ones worth visiting, and a few other tips as well. Most importantly, you'll know what must be seen and what can be skipped--saves travel time AND gas! Well, lets go! My visits occurred in 2012, 2013, 2015, 2016, 2017 & 2018. The years visited are marked as such at the top of the review. I was able to talk to some employees at the race shops and picked up some "Insider Tips" that are NOT (to my knowledge) available anywhere else online! Look for the Insider Tips! The best days of the week to visit are Tuesday and Wednesday. Mondays can work if the previous race was nearby. Thursdays are a "getaway day" so there isn't nearly as much activity. Fridays are almost always dead. All hours listed are Monday through Friday unless otherwise noted. The best general area to stay, hotel-wise, is in either North-Charlotte (typically referred to as the University area) or one of the northern-suburbs such as Concord. This will put you in close proximity to the Charlotte AND Mooresville shops, although you can deal with some major traffic in the afternoons! Every race shop has free admission. The various Halls of Fame have admission, but are in most cases well worth them. All race teams listed here are located in North Carolina. The vast majority of them are located in one of two locations: Greater Charlotte or Greater Mooresville. 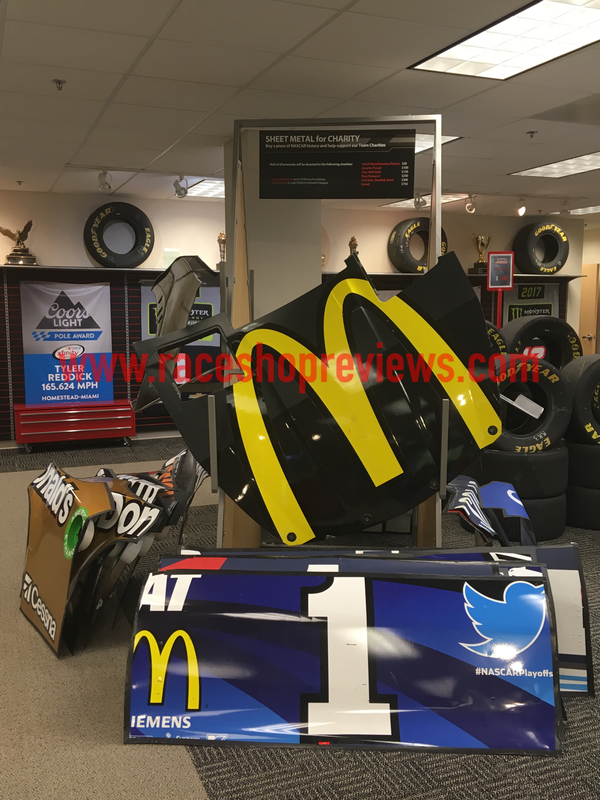 There are a few exceptions--a handful of shops are located in Statesville (GMS and a few other small Truck Series teams), while RCR and its affiliated teams are located outside Winston-Salem. The Petty Museum is also relatively out of the way in Level Cross. If you're in town for a race at Charlotte Motor Speedway, check with the various teams' websites to see if they're doing any special events or having extended hours. Some information here is compiled from the teams' own websites. 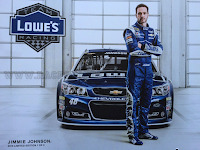 Some is from www.raceshops.com, the most comprehensive source I found. The rest is from my own experience. Obviously the any race team logos are the properties of those race teams. All of the pictures, however (unless noted) are my own. 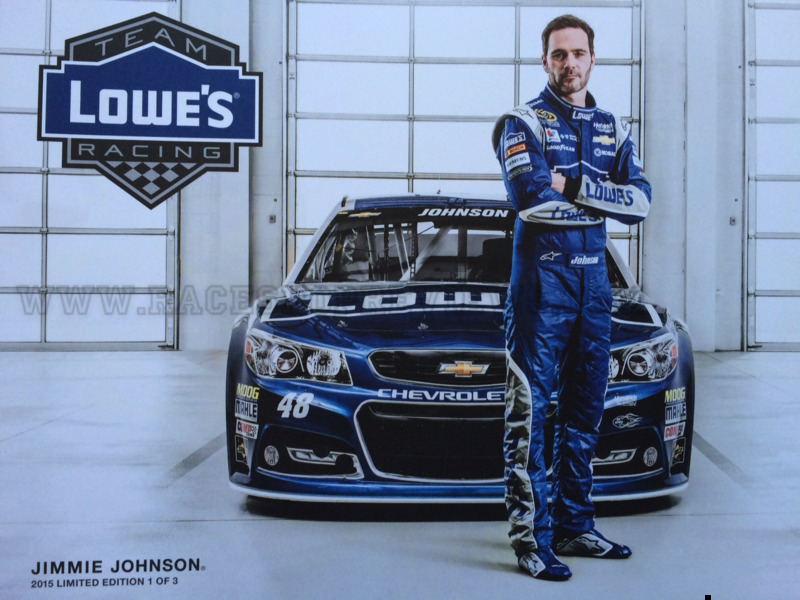 A note on "Hero Cards"--these are the (usually) 8.5"x11" heavy-stock cards that have lots of information on the teams, drivers, and sponsors. They're a nice cheap way to get souvenirs, since you can usually only get them from the teams themselves. Most everyone had them available when I was there. The Ratings are on a 1-5 scale. Thankfully I had virtually no negative experiences there, so the lowest scores mostly reflect shops that aren't set up for fans (most of the smaller teams). I also tried to sum it up with a final "See it" or "Skip it" rating.